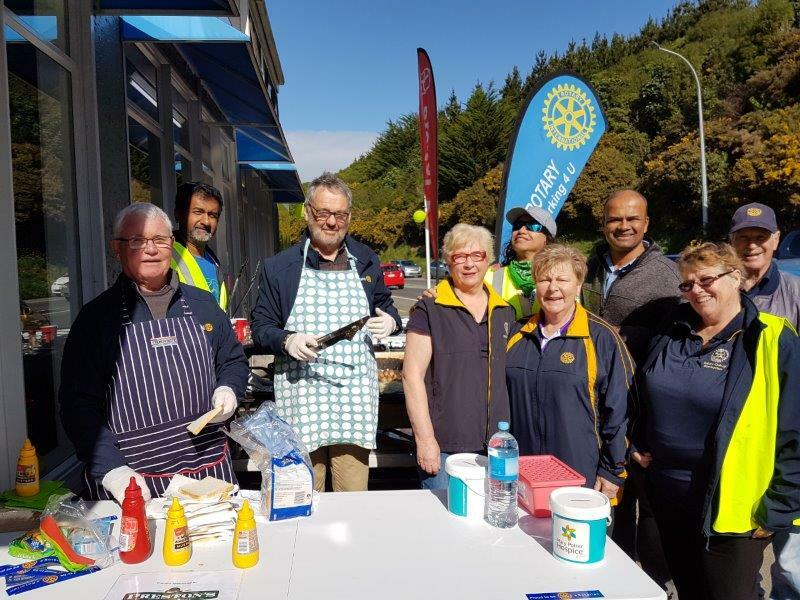 What a proud moment for the Presidents of the Rotary Clubs of Porirua and Plimmerton to lead the Rotary Club of Plimmerton onto Te Kura Maori O Porirua on Tuesday. Only President Donna could have written about this major milestone in Plimmerton's history. It was an experience to savour and we learned so much about some of the history of our city to which we have not often been exposed. Three of us attended the Tawa Group Business breakfast on 22 August at 'The Borough' in Tawa. Dave Greenburg gave us much food for thought. There were lots of opportunities to network. We didn't eat any cake, but the breakfast was delicious. What a great effort. More collaborative community support. We raised $614 for the Mary Potter Hospice on Saturday 25 August from the BBQ of sausages - not to mention that secret recipe of the hot sauce that Marty brought along (we'd all love that recipe!) The new Porirua store is now open for business at 21 Kenepuru Drive, Porirua. It was so good to meet other Rotarians from our Cluster, led by Johnsonville President Pravind Singh (at the back on the left) and ably coordinated by AG Adrienne. It was a very popular and fun event - many thanks for a simple project with positive visibility and partnership. Spencer Harris is in less pain than he has been but there is still no prospect of being able to go home any time soon. He would welcome visitors to Ward 5 at Kenepuru. 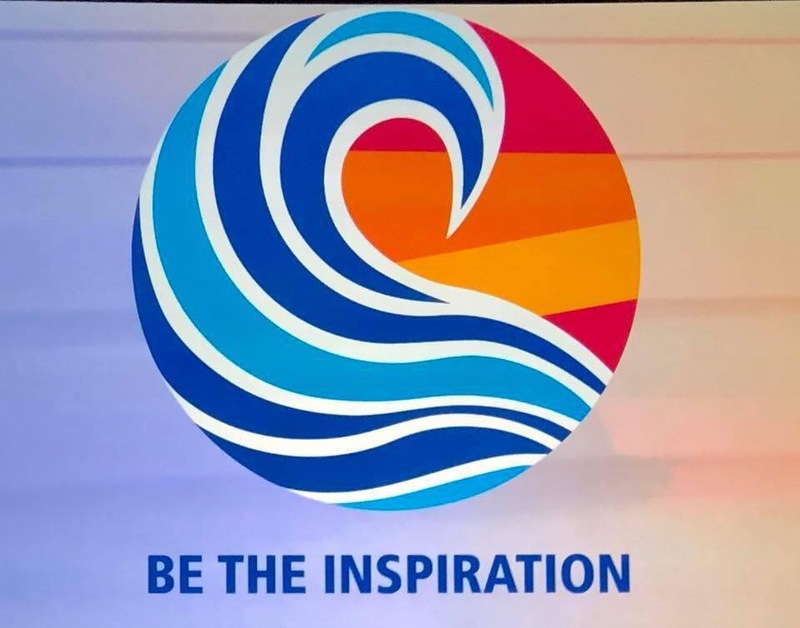 We have an invitation to 'Capture the Moment' at the 110th Rotary International Convention in Hamburg, Germany from 1-5 June 2019. 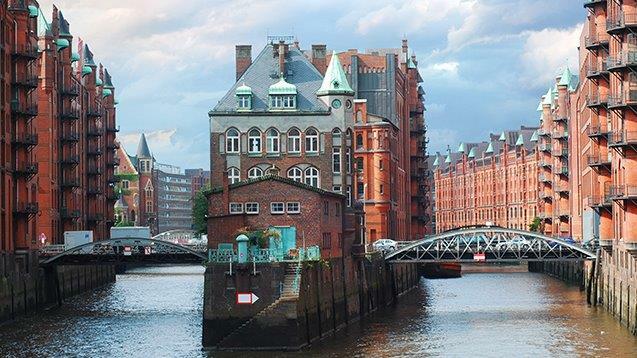 Germans call the historic port city of Hamburg 'The Gateway to the World' and the 2019 convention will be your gateway to the world of Rotary. 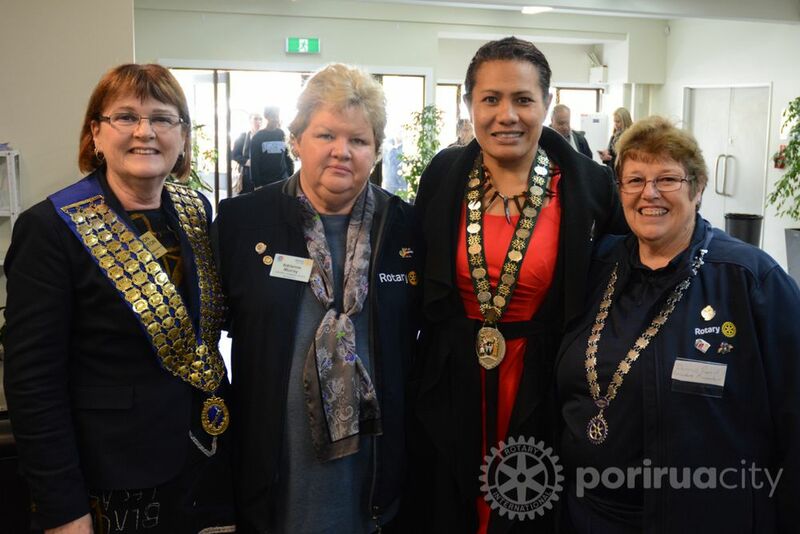 It was great to welcome Annemarie (with Chris), President Janet Reidy, Laurie Lawler, Carolyn Wallace, Julia Mottram, and Chris Blick from Inner Wheel and President Paula Williams from Porirua Rotary. Here is Mike's full report on the 2018 Primary School Leadership Awards. You will find links to the press release, the speeches, the bios, and photos. 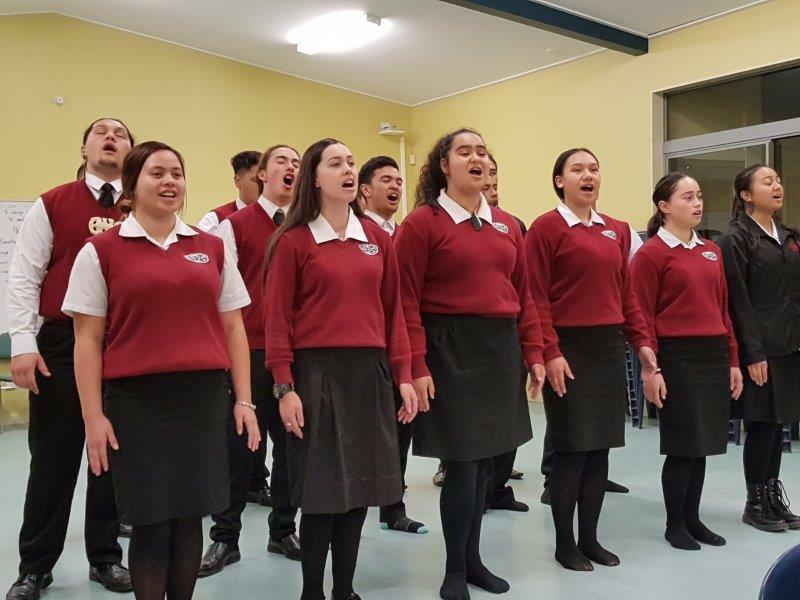 Suffice to say that it was a stunning event with members of Parliament, city leaders, principals, teachers, college students, parents, caregivers, whanau and, of course, Rotary, filling Elim Church Hall to bursting to honour our primary school leaders of today. The inspirational talk from Children's Commissioner, Judge Andrew Becroft and the speech delivered by Liri Salz, Head Girl of Samuel Marsden, as well as the National Anthem that was sung by Le Art, were the icing on the cake. Car Parking - Peter Cox (04-237 6642) is looking for volunteers for 4, 5 and 6 October from 8.00-5.00 pm for parking duties at the Kennel Club. Our help with this project is reflected in the significantly reduced rental we pay for our annual Book Fair. With Allan Nichols away, Peter Cox will have a roster schedule available in September. We have six positions to fill each day. The more volunteers we have the shorter the shifts will be. 4 September is our next Planning Meeting, a time to discuss what has been achieved since the last meeting and plan for the future. On 11 September Romchalee Kanokngamwitroj will be talking to us about STCF projects in Thailand and Nepal. On 18 September, Rebecca Holden, a Wellington artist, will talk to us about WW1 art projects. In addition to hearing from Rebecca, we will also welcome Erin Paterson on 18 September (accompanied by Dr. Tinte Itinteang, GMRI Chief Scientific Officer) who will tell us about her internship at the Salk Institute, north of San Diego. On 25 September we will hear from Mayor Mike Tana who will welcome any questions we may have to ask him. You can find most of the events for the rest of this year on our Events page. Original generation time 1.3506 seconds.